Why Strategic Defaults Are Like Playing Risk With My Uncle Jerry | Your best resource for buying, selling, owning and investing in duplexes and duplex homes. 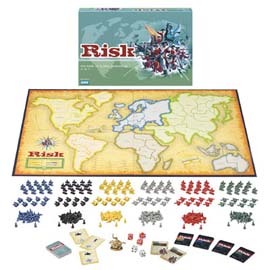 When I was a kid, my Uncle Jerry like to play the board game Risk with my brother and me. He was a banker. A former Navy man. An adult. We were maybe 11 and 13 years-old. He had a strategy. I’m not sure we even fully comprehended what the word strategy meant. As such, our countries and armies always got run over, crushed. Lately there have been media stories that claim a “strategic default” on a duplex mortgage can be a wise financial move in response to being “under water” on your investment property. What the media doesn’t say, however, is that playing with the banks is a bit like playing board games with my uncle. There can only be one outcome; crushing defeat. In a strategic default, a duplex home owner decides to walk away from the mortgage; to simply stop paying even though he may be fully capable of making them. Most of the time this happens when the property owner has concluded he owes more on the duplex than it’s worth, making it a bad investment. What most of these people don’t understand, however, is doing this exposes them to foreclosure and all its consequences including; credit issues, employment challenges, and possible capital gains tax and debt collection. Believe it or not, banks don’t like the foreclosure process any more than property owners do. Foreclosures ultimately cost them more money than a short sale, and I am increasingly hearing of some lenders who have developed even more options to help people avoid foreclosure. If you want or need to get out of duplex ownership, call me. As a Certified Distressed Property Expert I can help you find more constructive solutions to your issues than those available by simply giving up. And when you give up, just like in war games with Uncle Jerry, you could get crushed.